The Promised Land is rated 4.7 out of 5 by 201. Rated 5 out of 5 by the7thsojurn from The Promised Land! 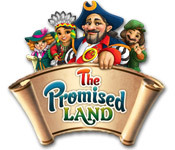 I was always a fan of this site and wonder why after all these years they never made a second game of The Promised land. 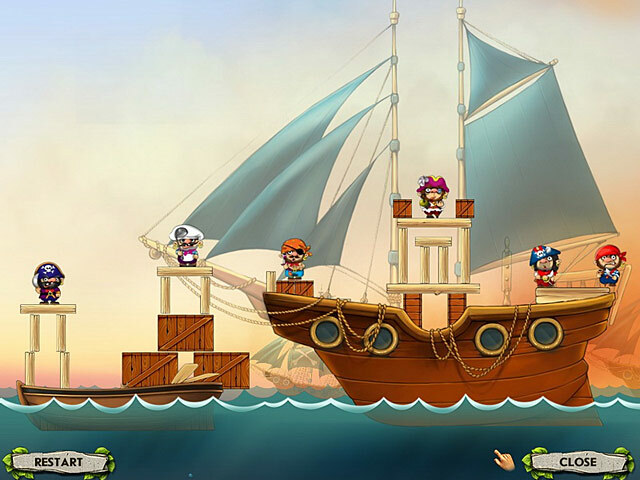 I love the art work and the game play and style of build it is so fun! I also wondered why with such great talent they never made a good build strategy game like war craft or other good known games! I would love to see one like this game done in a build/battle type game! 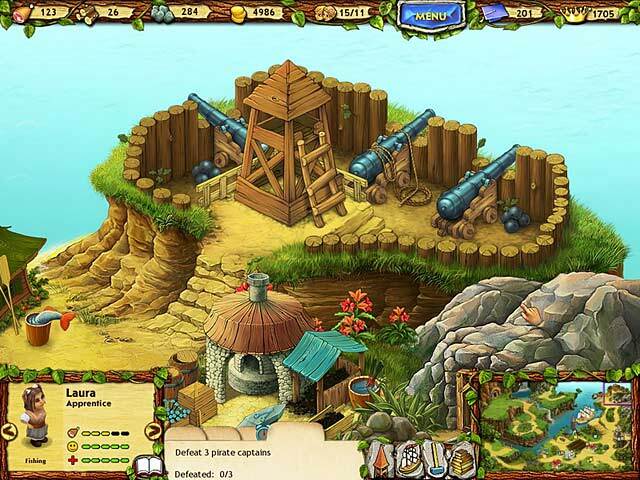 Rated 5 out of 5 by Gardendiva3 from More Games Like This PLEASE!!! I play this game every day. I start over every three days. Here's a quick tip... Play the game up to the part where you "Sell some goods to the Capital". Do not sell the complete amount...just the treasures you have found so far. Then put one worker chopping wood, another mining iron, and another making nails. Then put the rest into gathering food. 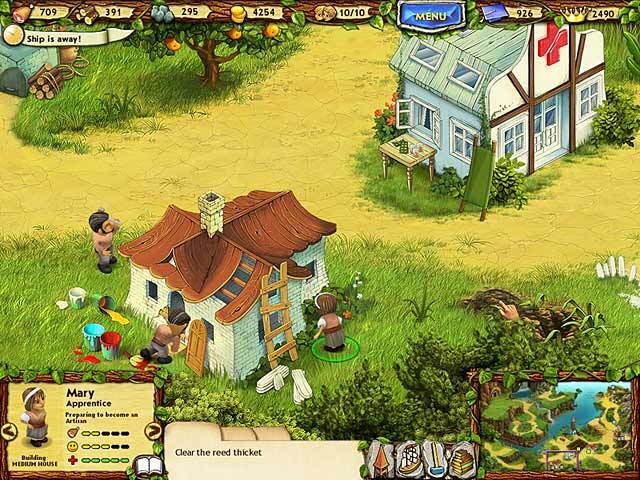 You will have money to Build the kitchen after you sell SOME goods to the Capital. Build the kitchen and plant corn and potatoes - and start making lots of food. Now here's the trick... go do some laundry..or the dishes...or take a nap while your people are building up your "starting food and supplies". Check every now and then to make sure your "cook" has not suffered major depression and stopped cooking! Once I have at least 1000 food and 400 - 500 iron and wood - then I go ahead and sell the rest of the "required amount" to the capital. Once this happens you will get interrupted every 4-5 minutes with updates from Sebastian and your chance of gaining lots of supplies is gone! I sometimes leave this in the "power up" status overnight while I am sleeping and the next morning I have lots of food....supplies to sell.. and so on. Be sure to "help" your people talk to each other when they are unhappy so they will continue to do so while you are not "minding" the game. Rated 5 out of 5 by Sarahdw from Great game loved it! wish there were more like it! Rated 5 out of 5 by Blestevick from Fun strategy, excellent graphics, humorous characters I enjoy the variety of challenges and especially enjoy the graphics in that they are larger and easier to see as well as humorous. My husband and I have played this over and over. We both enjoy that pirate challenge too...FUN GAME! Rated 5 out of 5 by tfm91 from love it Such a good game, wish it was longer! Rated 5 out of 5 by knuklehead from best game so far loved it and my children love it, we all wish there was more games like this, educational and fun and less of the creepy stuff that's taken over! Rated 5 out of 5 by animal72 from one of the best Love this game. I wish they had more like this one. I see games that have sequels, this one needs to have one too. Highly recommend. Rated 5 out of 5 by Darjeelingg from Fun with the right amount of challenge This is my sort of game. Plenty of resource and time management, some allocation of skills and labour, and a few tim challenges thrown in as well. There wasn't much of a storyline though but the game play made up for it. It was fairly straight forward to figure out. Got a bit tedious towards the end when trying to accomplish all the goals but finishing the game itself was satisfying.